Hot Water Heaters can offer an effective alternative to Boilers. We offer gas, oil and electric water heaters, indirect, as potential solutions. Each has its own advantages and disadvantages. For instance, hot water heaters can have a tank or not have a tank. Whether installing new or replacing, we can address your needs with a quality solution. It’s time to talk to a Chiarillo’s heating expert to educate you on the different types of solutions available, what best fits your needs and why. Contact us today! We install only the best in your home. Our leading manufacturers deliver quality products that we incorporate into our Home Heating Solutions. 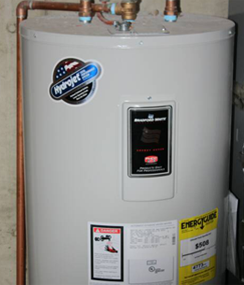 Hot Water Heaters can offer an effective alternative to Boilers. 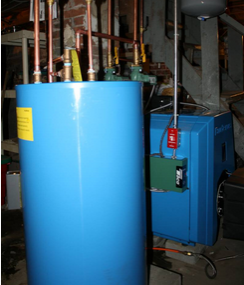 We offer gas, oil and electric water heaters as potential solutions. Each has its own advantages and disadvantages. For instance, hot water heaters can have a tank or not have a tank. Whether installing new or replacing, we can address your needs with a quality solution.